I have a Mother-in-law plant that bloomed last year and again this year. I took pics. I browsed online because everyone told me theirs never bloomed. I found one statement that said if the plant is stressed it may produce flowers. 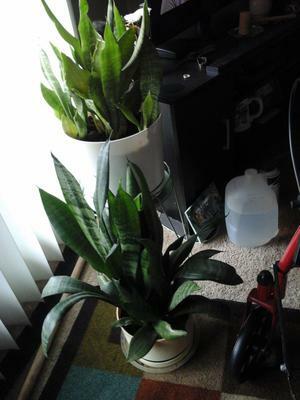 I learned not to water so much and this article said the leaves will curl when it needs water, so I wait for that. My question is that as long as it blooms should I not fertilize or if I should what kind do I use? 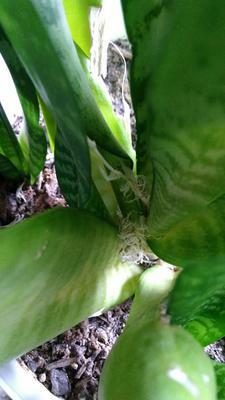 I've never had a Sansevieria that bloomed, so it is rare to hit on exactly the right conditions to trigger it. And yes, most succulents will bloom after drought. This provides the impetus (oh no, I'm going to die, better make some babies!) to flower. I've never heard the part about the curling leaves. As for fertilizer, these plants don't need any. If it makes you feel better, use a really weak (diluted) water soluble kind. See this page for more on fertilizer for succulents. You would only fertilize after it's finished blooming for the year, while it's actively growing. As soon as you allow it to go into drought dormancy (or long before so the fertilizer has a chance to leach through the soil) then stop fertilizing. I read somewhere that a woman tasted the nectar so I tried it, very sweet and extremely sticky. I'm thrilled to finally get advise on my plant. If it blooms again I will take a photo. I just watered it last week and the flower came up within the week. It has made so many babies in the pot. A neighbor gave them to me after dividing them up and I planted them, she is a little jealous now lol. When would I take all the baby plants and repot them? 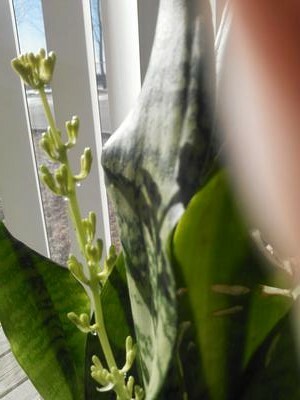 Right now the adult plant is blooming. I also have left the plant in the same location all year long and only water when leaves curl, approximately 2 months. I would wait until it finishes blooming, just so you can enjoy the flowers. Disturbing the roots right now might just eliminate that - if you don't care, then repot them now. They just pull apart from the roots, they might be tangled together, so be gentle.